Rebecca Sittler’s still life photographs examine the interpretive lives of familiar objects, often combining observational and directorial approaches to making an image. She is also the co-founder of the institute for Inverted histories (iIh), www.invertedhistories.com which works at the intersections of art, design, politics, media, and cultural studies to produce objects and experiences that acknowledge and revel in mysteries among the material traces of history. 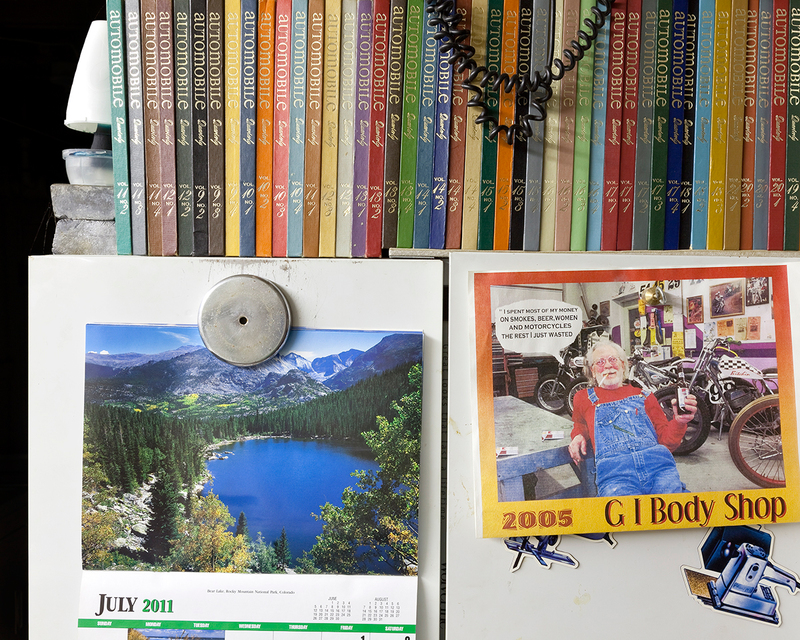 Sittler received her MFA from Massachusetts College of Art in 2003 and is a photographer, writer, and Associate Professor of Art at California State University, Long Beach. 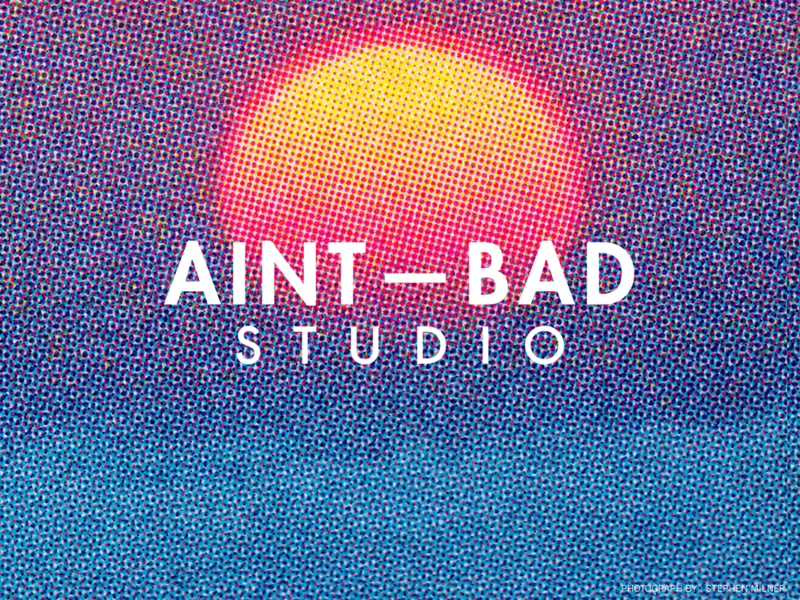 She has exhibited her work at venues such as: Sam Lee Gallery, the Photographic Center Northwest, Torrance Museum of Art, the Griffin Museum, Atlantic Center for the Arts, RayKo Gallery, Photographic Resource Center, as well as the University of Florida, Texas Woman’s University, Boston University, and Washington State University. Her recent series, All the Presidents’ Men received a 2015 Collection Award for Innovation in the Documentary Arts from the Archive of Documentary Arts at Duke University. “Resolute Reflection”, Archival Pigment Print, 22×27” and 28×34”, 2012. Replica of the presidential resolute desk and oval office designed for visitor “photo ops” within Plains High School, Jimmy Carter National Historic Site (Plains, GA). 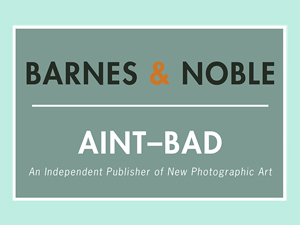 “Before & After”, Archival Pigment Print, 22×27” and 28×34”, 2013. 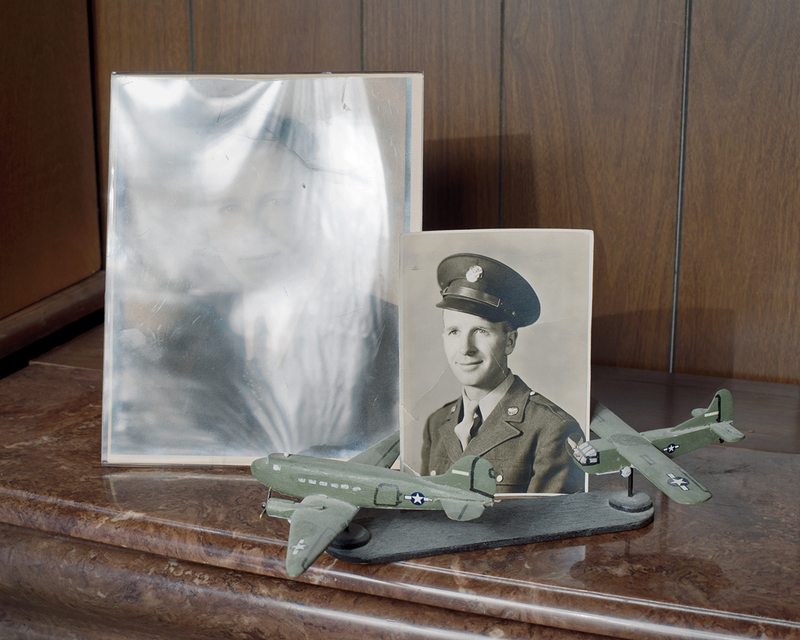 Photographs of my grandfather, Alvin Luebbe, a glider pilot in WW2, before and after the war, displayed on my grandmother’s artificial fireplace (Beaver Crossing, NE). “Gliders”, Archival Pigment Print, 22×27” and 28×34”, 2012. Museum display of toy planes demonstrating the number of Allied aircraft bringing supplies to West Berlin during the height of the Berlin Airlift, Truman Presidential Museum (Independence, MO). All the Presidents’ Men combines photographs made in presidential museums and historic sites across the United States with images from my father and grandfather’s homes. In 1959, after a spontaneous all-night road trip, my 18-year-old father met former president Harry Truman out for a morning walk on the streets of Independence, Missouri. He doesn’t remember what they talked about, only the thrill of meeting a “powerful”, yet “unassuming” man. Nearly 50 years later, I visited Truman’s presidential museum and noticed there was little evidence of the restlessness and uncertainty that have shaped my father’s generation and characterized Truman’s legacy. I am intrigued by photography’s increasing role within history museums, where historical narratives intersect with the complexities of photographs, replicas and ephemera, and are interpreted through the viewer’s imagination and personal experiences. In particular, I see presidential museums as archives of a particular version of American masculinity, informed by American dreams, fictional narratives and political rhetoric. Presidential power is reified and celebrated within the history museum while aspects of presidential identities that are more revealing of their complexity, individual struggles or humanity are rarely or only subtly articulated. Full of blind spots, these fictional heroic narratives are absorbed into our political and personal lives despite the tenuous grasp they hold on the complexities of history and the multifaceted lives of men. “Open Road Stetson”, Archival Pigment Print, 22×27” and 28×34”, 2012. 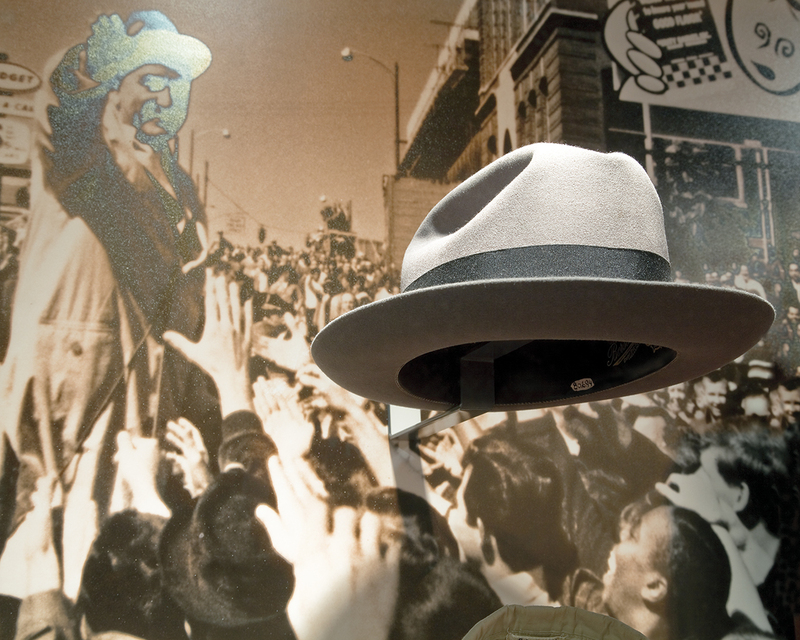 A display of the “Open Road Stetson” hat, worn by many celebrities and cowboys and renamed the LBJ Hat after he popularized it during his presidential campaign, Lyndon Baines Johnson Presidential Museum (Austin, TX). “Up”, Archival Pigment Print, 22×27” and 28×34”, 2011. 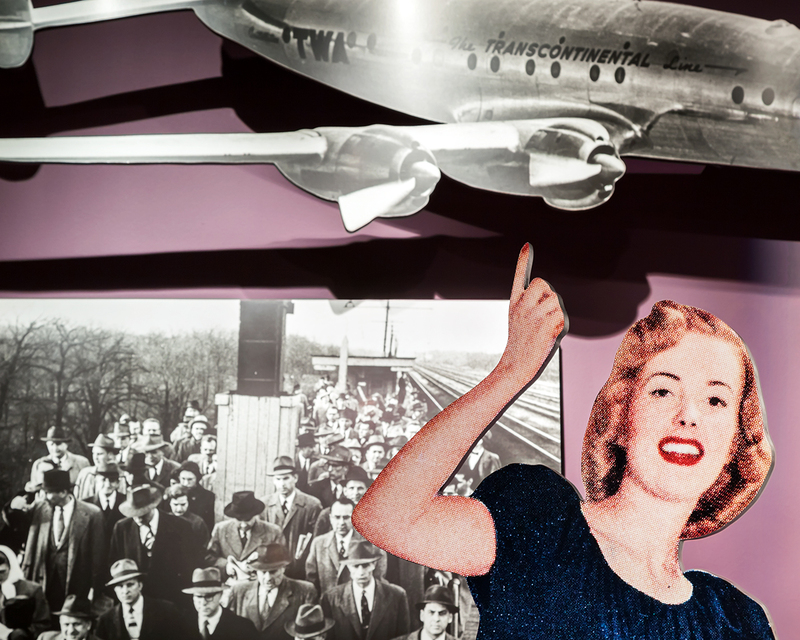 Detail of museum display narrating the American postwar boom, Harry S. Truman Presidential Museum (Independence, MO). “Picket Fence”, Archival Pigment Print, 22×27” and 28×34”, 2011. 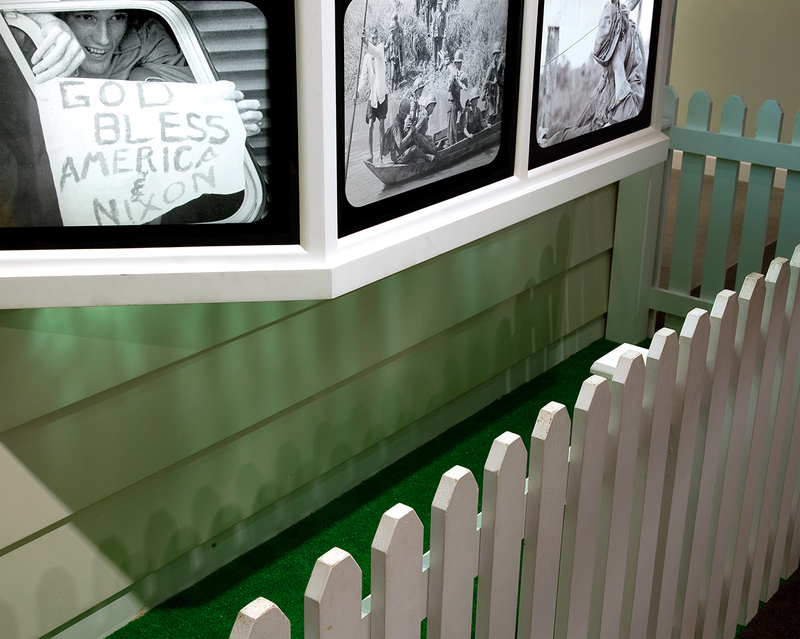 A display showing a clash between American idealism and television images of unrest at home and abroad, Richard Nixon Presidential Museum (Yorba Linda, CA). “Oxfords”, Archival Pigment Print, 22×27” and 28×34”, 2012. 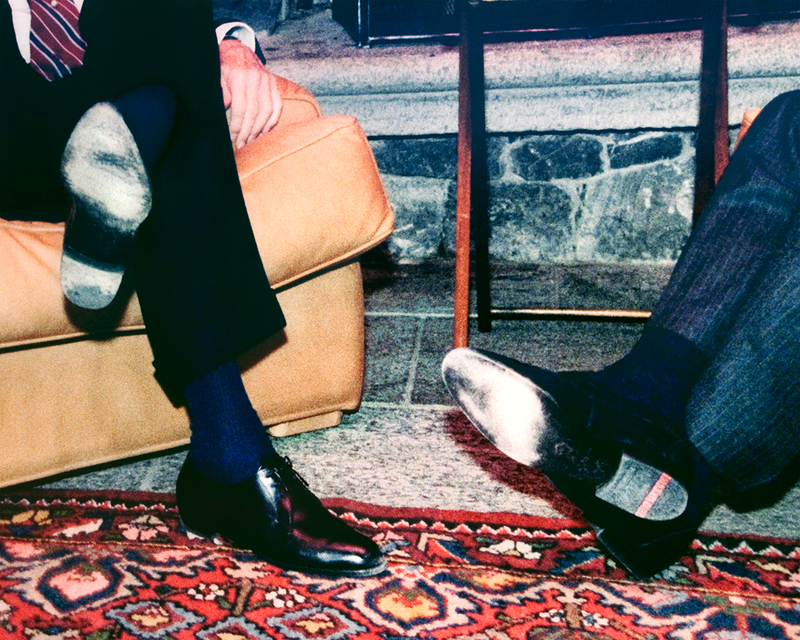 Detail of a photograph of Reagan and Gorbachev meeting at the first summit in Geneva, Ronald Reagan Presidential Museum (Simi Valley, CA). 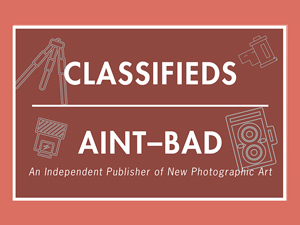 “Magic Camera Riot”, Archival Pigment Print, 22×27” and 28×34”, 2012. 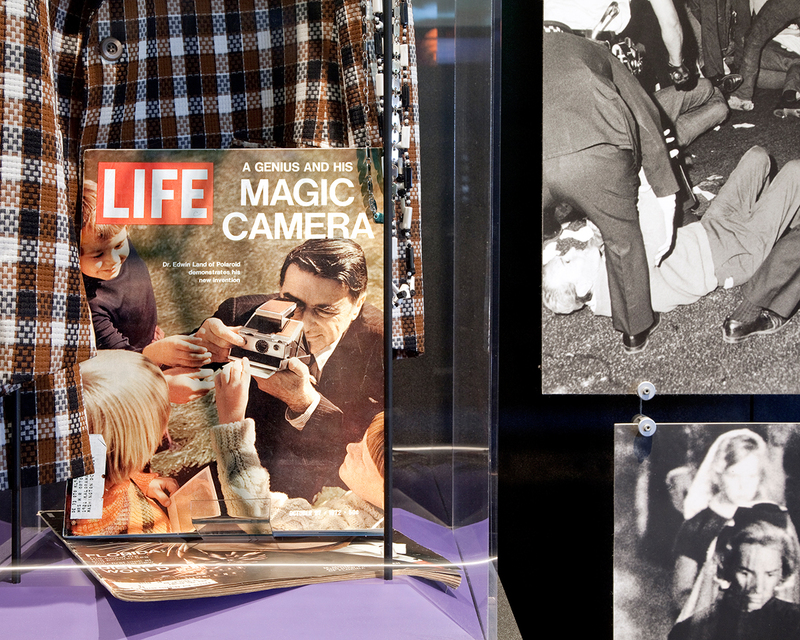 A display featuring 1970s fashion and Edward Land featured in LIFE Magazine alongside photographs of race riots and JFK’s funeral, Gerald R. Ford Presidential Museum (Grand Rapids, MI). “2005 in 2011”, Archival Pigment Print, 22×27” and 28×34”, 2011. A section of my father’s office/archive (Grand Island, NE). 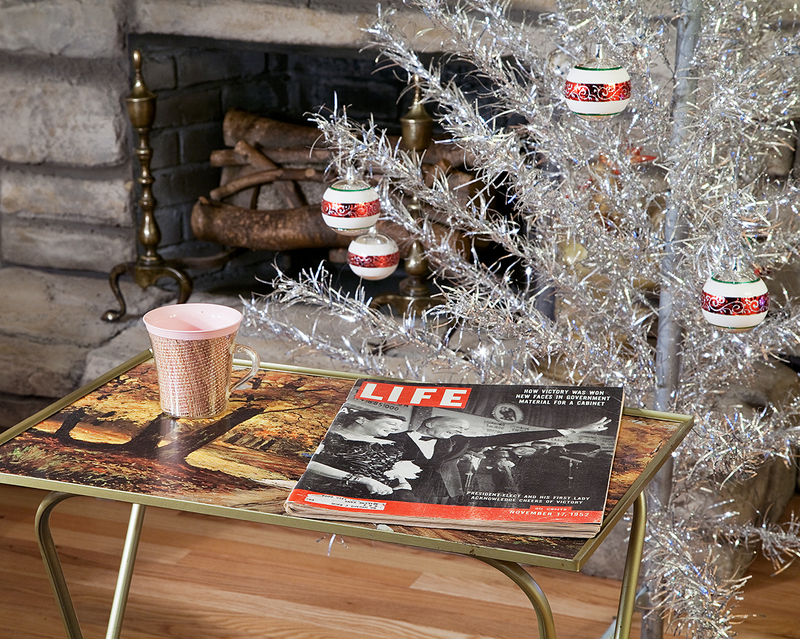 “Fireside”, Archival Pigment Print, 22×27” and 28×34”, 2011. 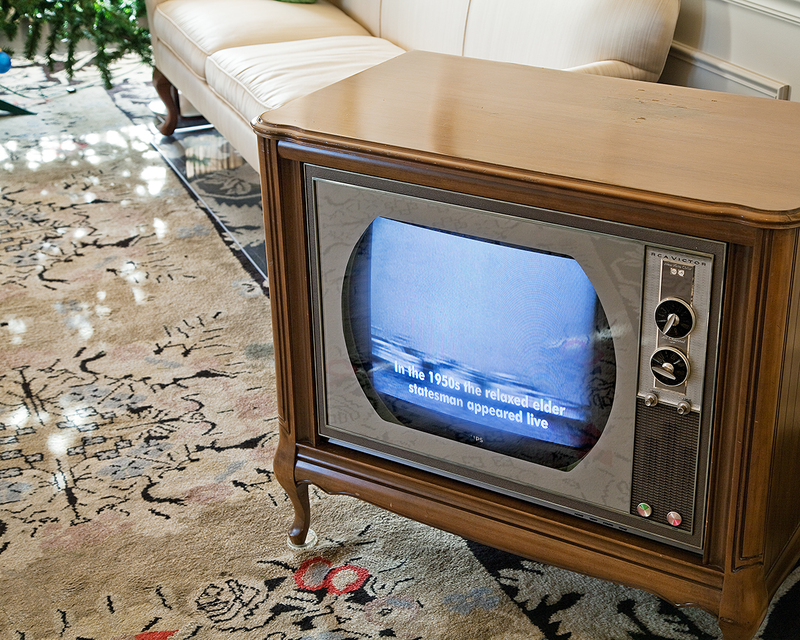 Atomic Age Living Room Replica, Dwight D. Eisenhower Presidential Museum (Abilene, KS). “Memory Box”, Archival Pigment Print, 22×27” and 28×34”, 2013. 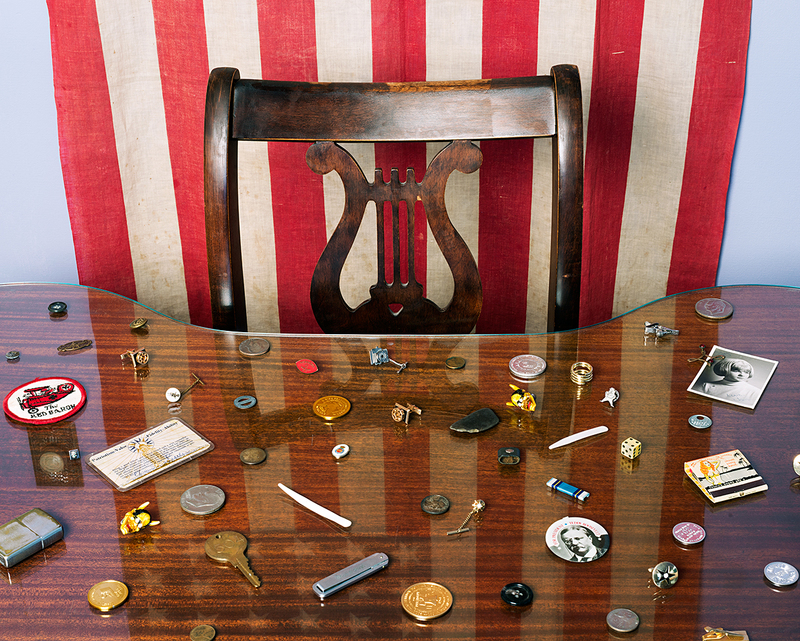 My father’s collection of “memory objects”, spread out on my mother’s desk with reflection of the American flag (Grand Island, NE). “Elder Statesman”, Archival Pigment Print, 22×27” and 28×34”, 2011. Television replaying Hoover speeches in a replica of Hoover’s retirement suite in New York’s Waldorf Towers, Herbert Hoover Presidential Museum, (West Branch, IA). “Double Judiciary” (Grand Rapids, MI), Archival Pigment Print, 22×27” and 28×34”, 2012. 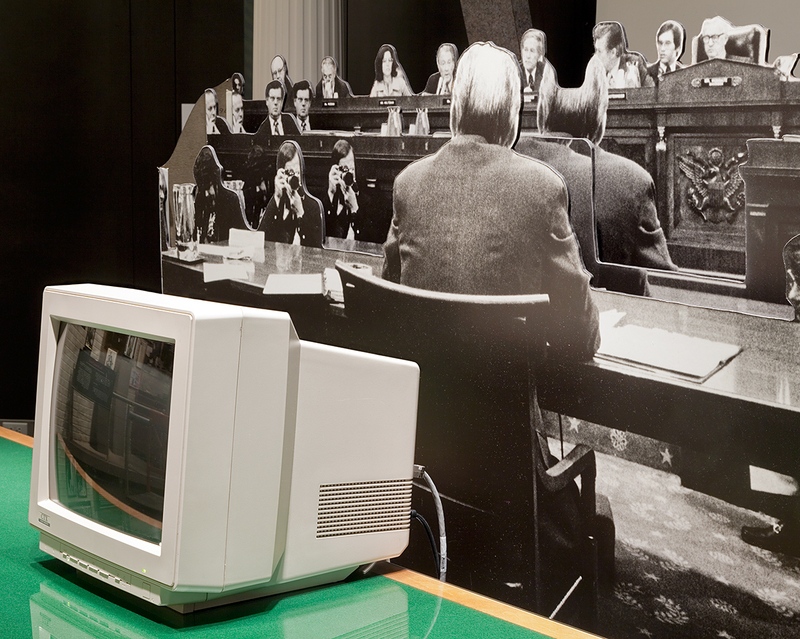 Replica of Congressional Hearing room with display asking museum visitors to act as a jury, Gerald R. Ford Presidential Museum (Grand Rapids, MI). “Twinkle”, Archival Pigment Print, 22×27” and 28×34”, 2012. 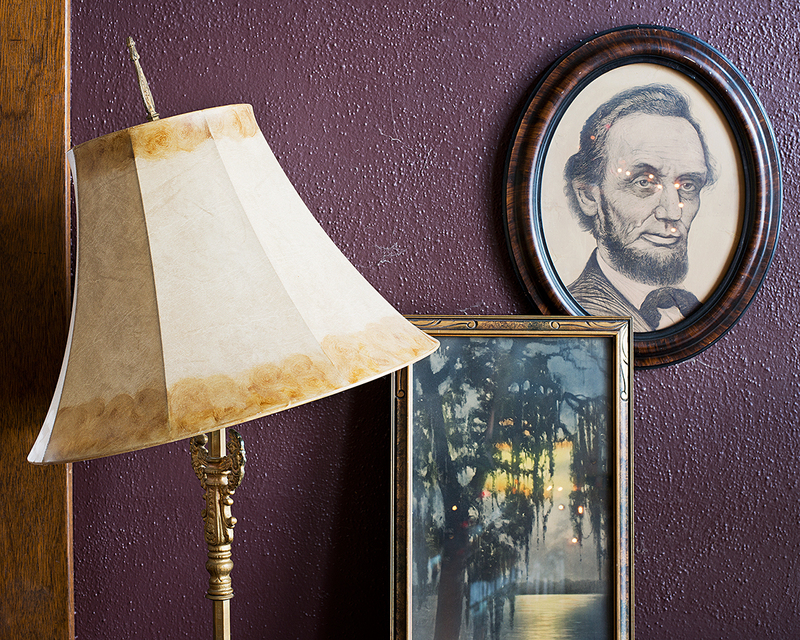 Home display of my mother’s portrait of Lincoln, reading lamp, and print of a southern bayou landscape at Christmas, (Grand Island, NE). 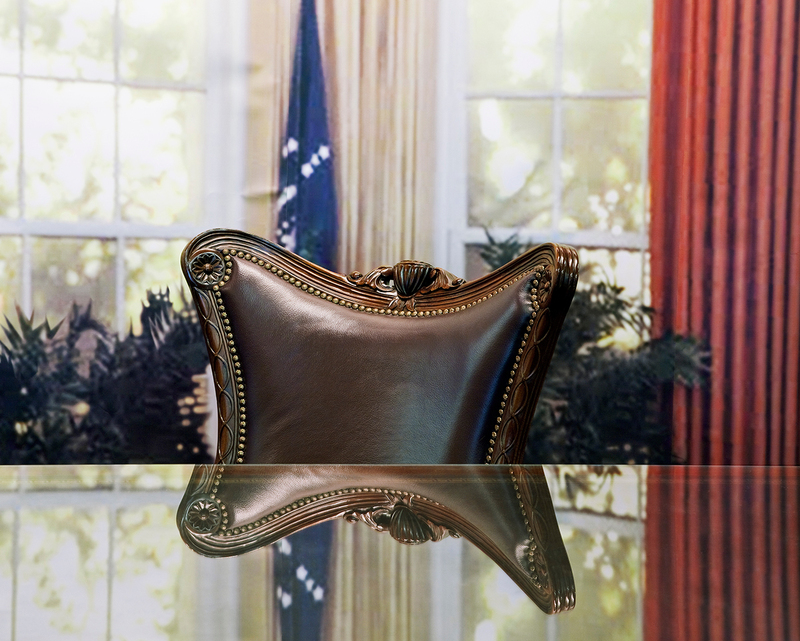 “Decision Room Replica”, Archival Pigment Print, 22×27” & 28×34”, 2012. 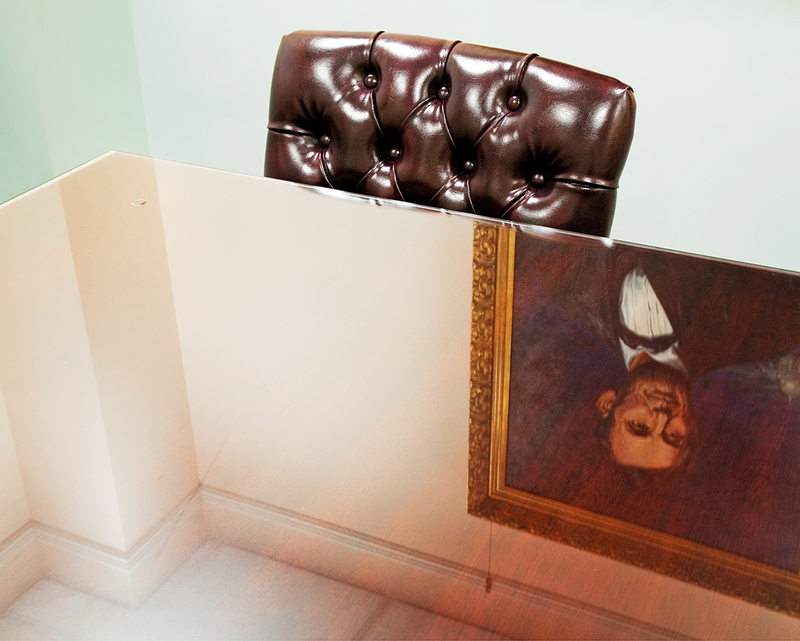 Reflection of a copy of a painting of Abe Lincoln on a table in a basement replica of the West Wing. Known as the “White House Decision Center” used for school visit reenactments of major decision points during the Truman presidency, Harry Truman Presidential Museum (Independence, MO). To view more of Rebecca’s imagery, please visit her website.